To get to the soSIMPLE Settings window, click the Gear icon on your main soSIMPLE Calendar Settings window. 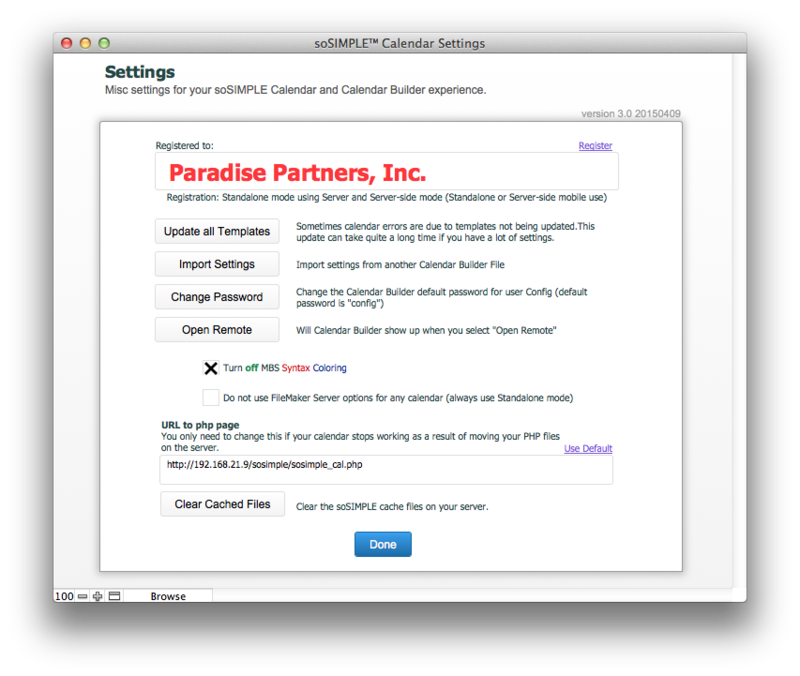 These settings allow you to register and configure soSIMPLE Calendar Settings. Note: you can only turn on FileMaker Server options in this window, or for any calendar, when you are hosting your file using FileMaker Server. You must also turn on FileMaker’s PHP engine and install the soSIMPLE PHP files.